Since 1951 Truskey, Inc. has provided comprehensive mechanical construction services to our valued industrial, commercial and biopharmaceutical clients. We offer pre-construction assistance including budgeting and value engineering as well as construction management on projects over-weighted mechanical. Truskey, Inc. benefits from having 2nd & 3rd generation management in place. Coupled with a dedicated and experienced staff of superintendents and project managers, most of who have an average of 25 year tenure with Truskey Inc., ensure preservation of the companies long standing reputation for integrity, quality workmanship, and a commitment to safety. Truskey, Inc. is a signatory to a collective bargaining agreement with Steamfitters Local Union 420 and Plumbers Local Union 690 and we are affiliated with the Mechanical Contractors Association of America (MCCA), the National Certified Pipe Welding Bureau and the International Society for Pharmaceutical Engineering (ISPE). 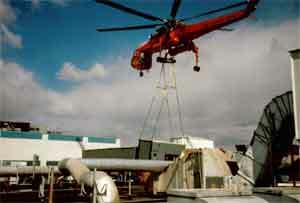 We have a bonding capacity of $12M and are capable of handling single projects up to $5M. Approximately 25% of our business is negotiated or established through cost-plus blanket contracts.